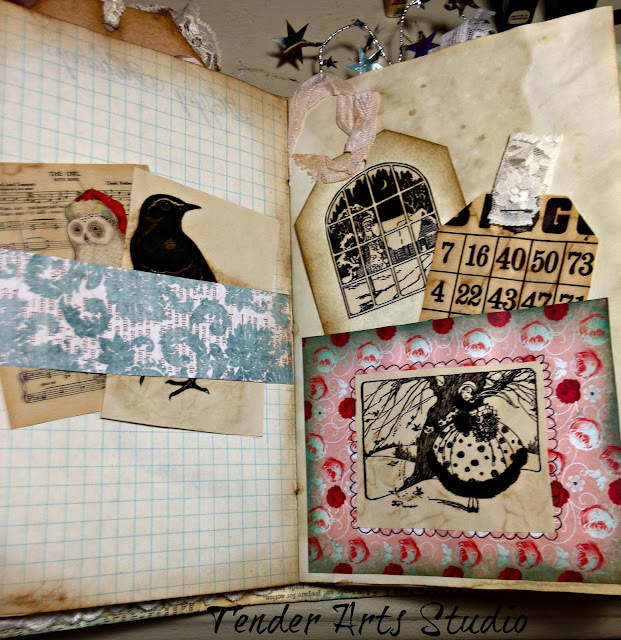 I love this journal so much! 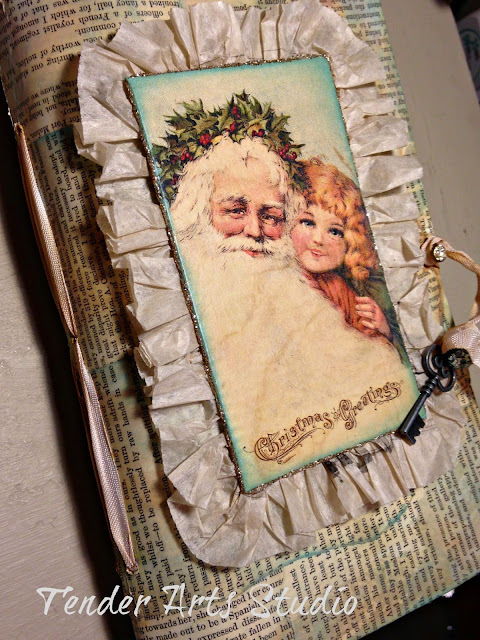 It is made from a 9"x 12" clasp envelope. 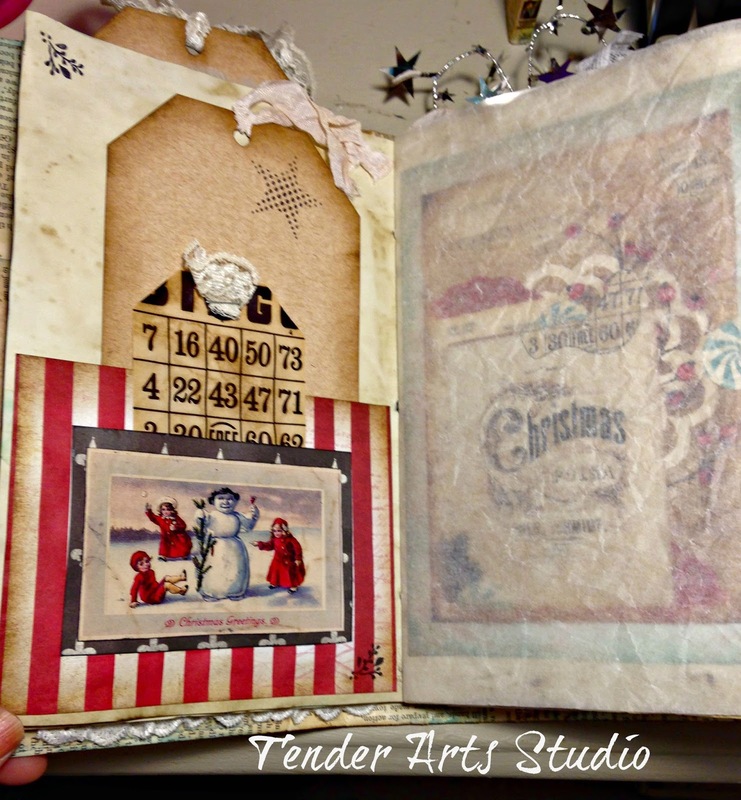 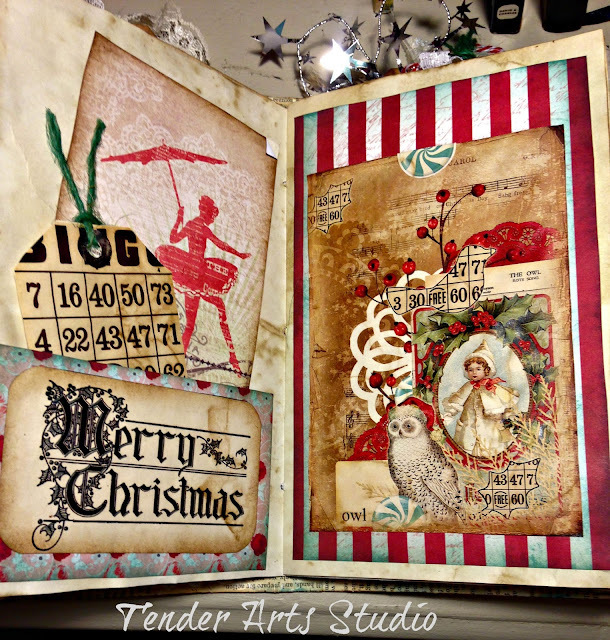 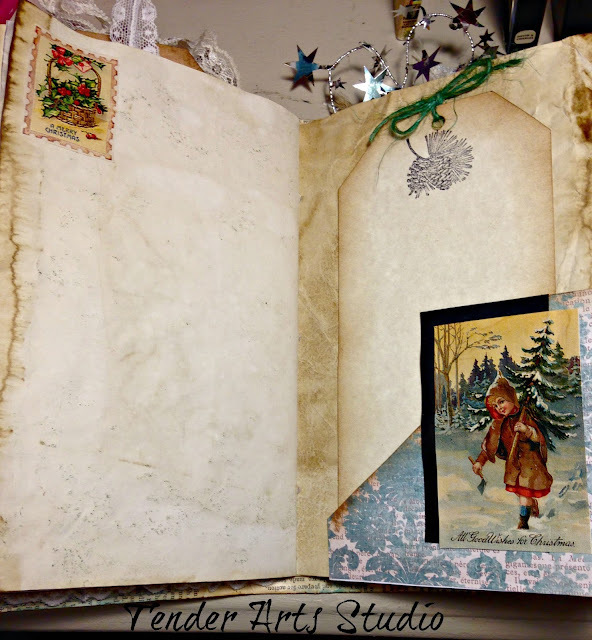 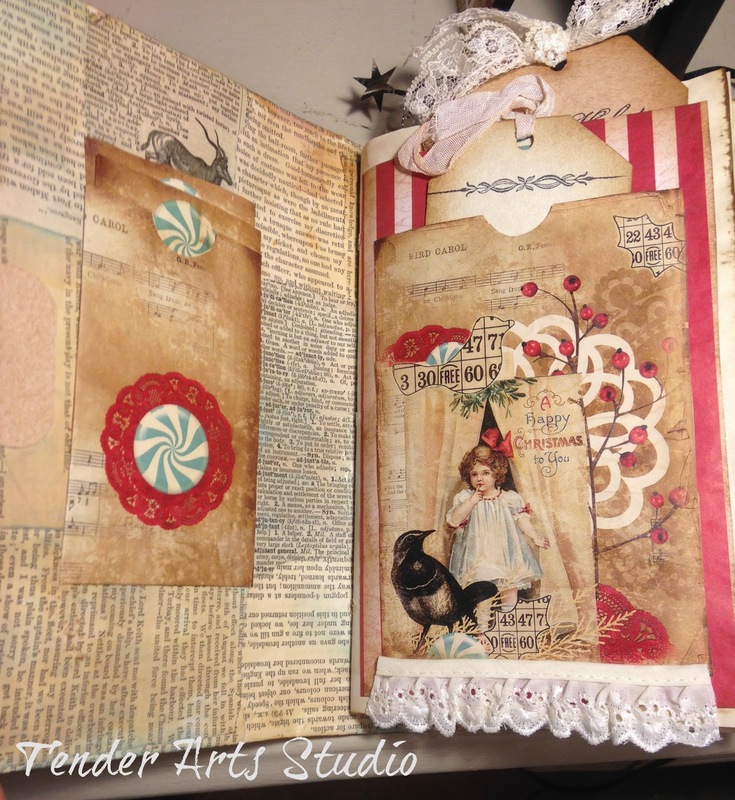 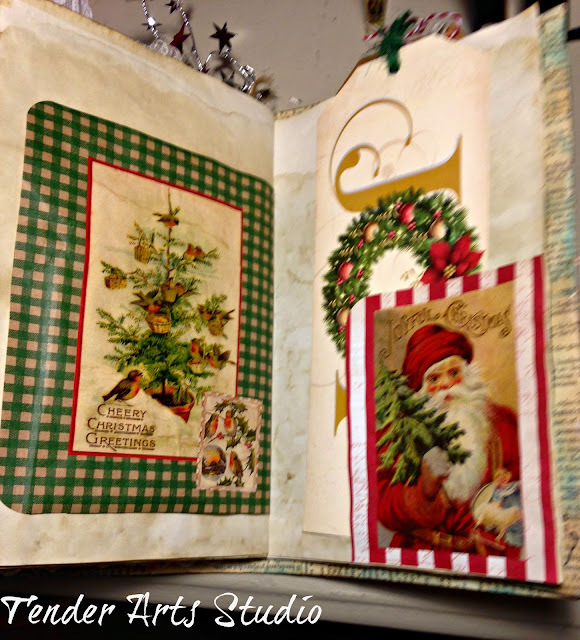 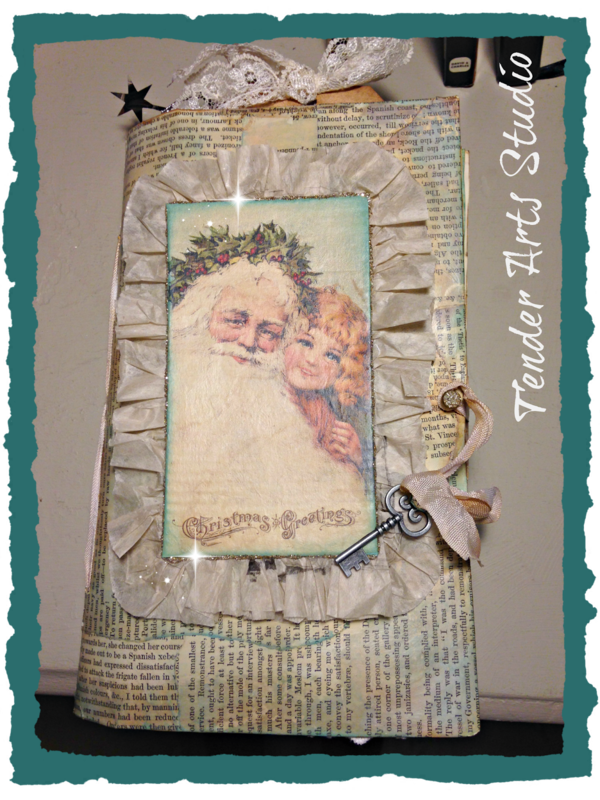 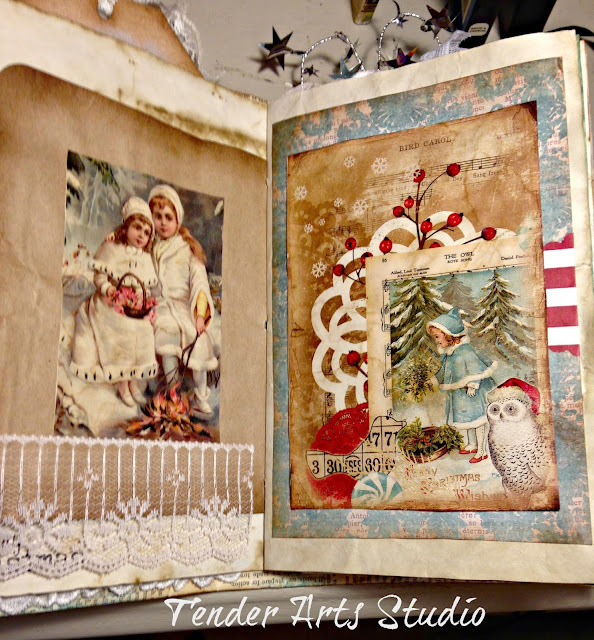 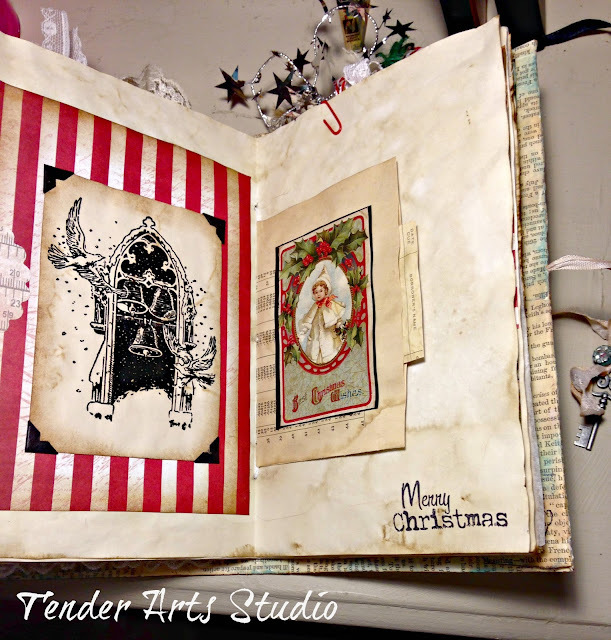 I first decoupaged book pages on all sides and then created two signatures using the digital download Merry Melody from Ephemera's Vintage Garden. 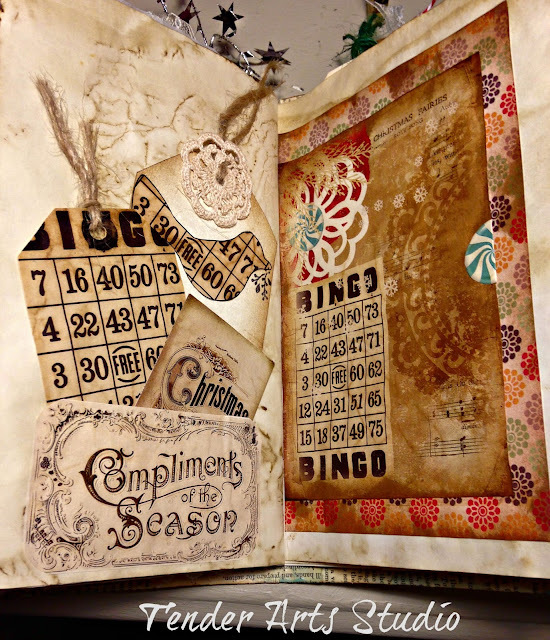 I also printed up a few free images from Graphics Fairy. This was a lot of fun to make and there are many pockets and many tags for lots of holiday journaling. I hope to have it listed in my etsy shop very soon! 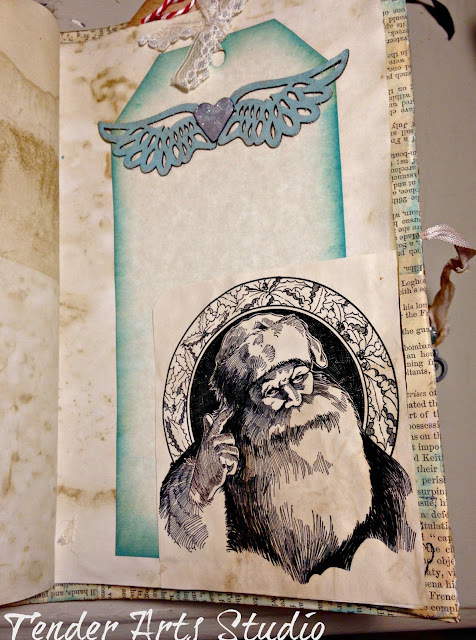 I also made a video- I found the experience this time very trying, so please excuse the silent video portion - last 5 minutes or so! Happy making, friends!